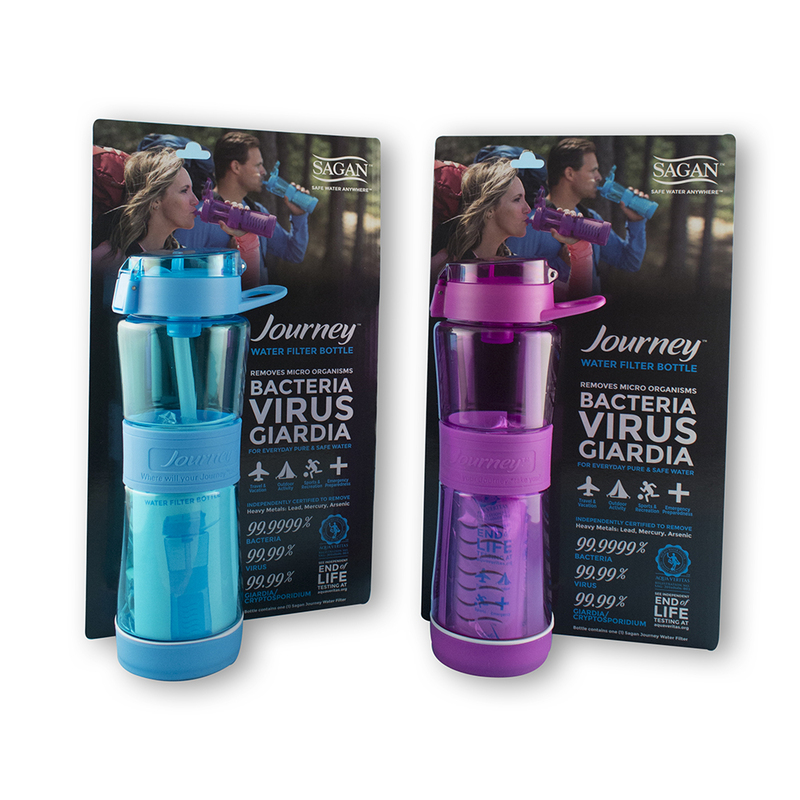 The Journey Filtered Water Bottle removes bacteria, virus, giardia and 118 chemicals, including fluoride and other contaminants to provide safe, pure drinking water for personal wellness – everyday. Journey Filtered Water Bottle has a unique filtration media which allows for easy drinking through the comfortable mouthpiece while removing harmful chemicals and microorganisms. You’ll want to take it everywhere and use it as your daily water bottle.